The condition of ailing Goa Chief Minister Manohar Parrikar is stable, his office said Monday after a senior doctor from the AIIMS in New Delhi conducted his health check-up at a state-run hospital here. 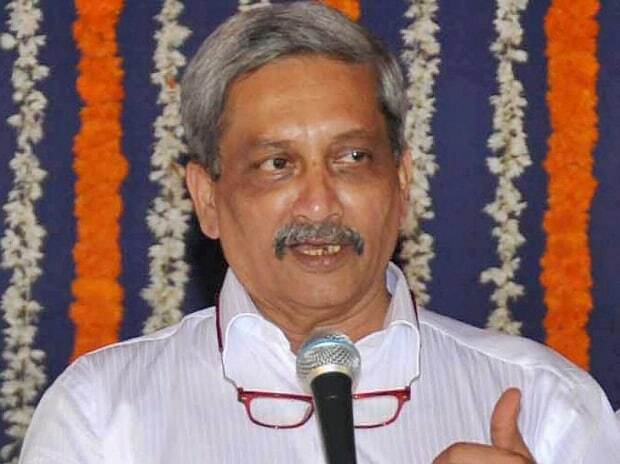 Parrikar, 63, was admitted to the Goa Medical College and Hospital (GMCH) on Saturday. Two doctors from the All India Institute of Medical Sciences (AIIMS), Delhi, had arrived here Sunday afternoon to examine the senior BJP leader. "Dr Pramod Garg from AIIMS who is heading the treatment of Honble Chief Minister @manoharparrikar has conducted a thorough check up of the CM. The doctors are happy with his progress and the chief minister continues to be stable," the Chief Minister's Office (CMO) said in a tweet. Goa Assembly Speaker Pramod Sawant also said the chief minister's condition was "stable" and his "internal bleeding had stopped". Parrikar has been suffering from a pancreatic ailment for the last one year and has undergone treatment in the US as well as at AIIMS Delhi and a private hospital in Mumbai. Several leaders, including Sawant, Health Minister Vishwajit Rane and former chief minister Laxmikant Parsekar, arrived at GMCH on Monday morning to enquire about Parrikar's health. Sawant later told reporters that Parrikar's health condition was stable and, as per the doctors, treating him, the "internal bleeding which was happening had stopped". "All his health parameters are stable now," he added. Rane on Sunday had said MLAs and other leaders were not being allowed to meet Parrikar to avoid the risk of infection from outsiders. He also appealed to people not to believe rumours. Parrikar had fallen ill on February 14, 2018 and was shifted to GMCH, from where he was taken to the Lilavati Hospital in Mumbai the next day. He had later undergone treatment in the US. The Goa chief minister was shifted to the AIIMS in New Delhi on September 15 last year and returned to Goa on October 14 for recuperating at his private residence at Dona Paula near here. He also attended the Budget Session on January 29 and presented the state budget the next day. On the last day of the session on January 31, he was taken for treatment to AIIMS in Delhi and he returned to Goa on February 5.